They say the last vestige of adventure games is Germany. 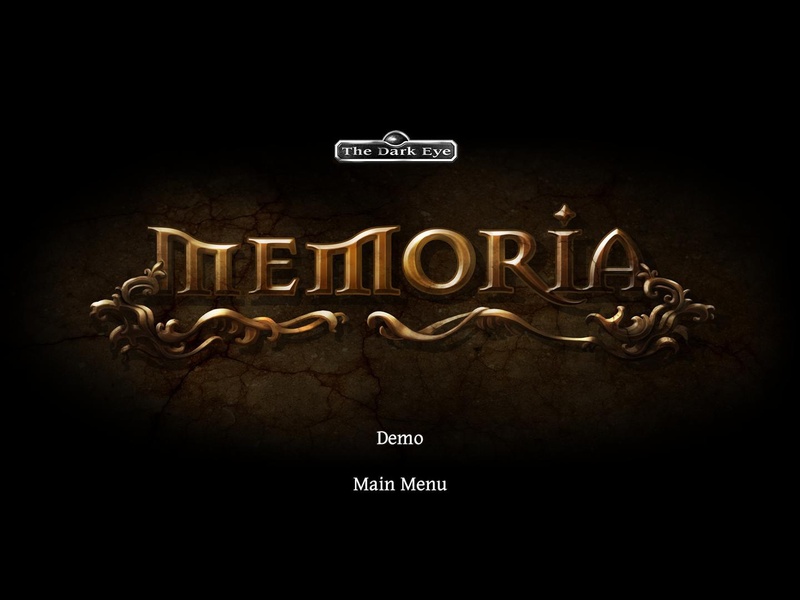 Today we’ll be looking at Memoria, an adventure game still in development that shows that a labor of love shows its quality quite early on. To tell you the truth, I’m not 100% sure that I know exactly what the visuals of this game are, besides gorgeous. The game alternates between storytelling and problem solving. During the story telling we are often treated to large, digital paintings of the characters involved. Rather than remaining static, every screen has some sort of subtle motion applied. These motions are achieved in a variety of ways, from warping sections of the picture, morphing between different frames, or articulating portions of the artwork. We really need to start incorporating more massive statues into our architecture these days. It is possible that the main gameplay is displayed in an identical way, other times there seems to be a fully rendered element. 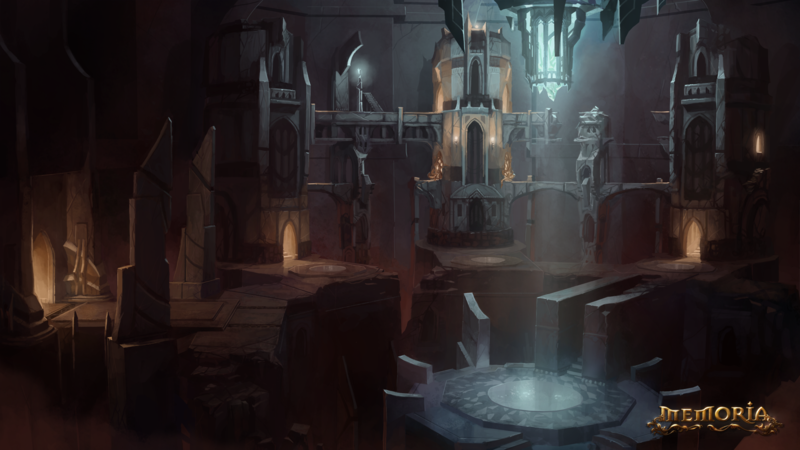 Regardless of the nature of the visuals, they are top notch, and they trace out a fully formed and highly detailed setting. 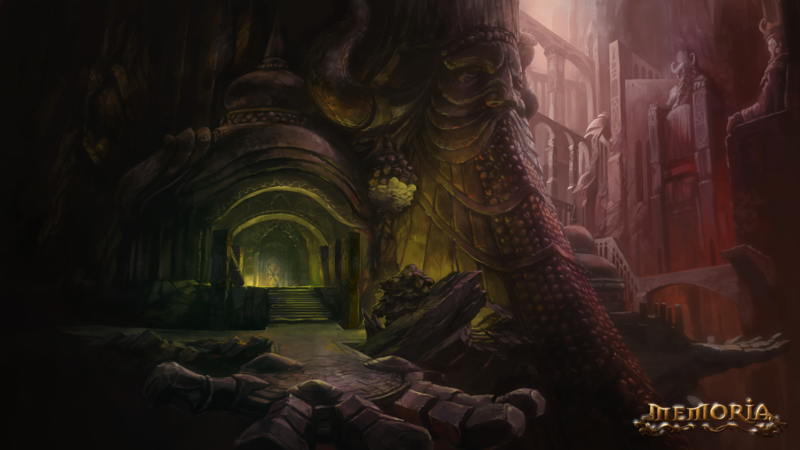 It is traditionally fantasy, with environments varying from vast catacombs that would make a Tolkien dwarf jealous to medieval cities in an advanced state of urban decay. Little is done to make the interactive and non-interactive elements of the scene stand out, but as you’ll see in the next section, that’s not a problem. 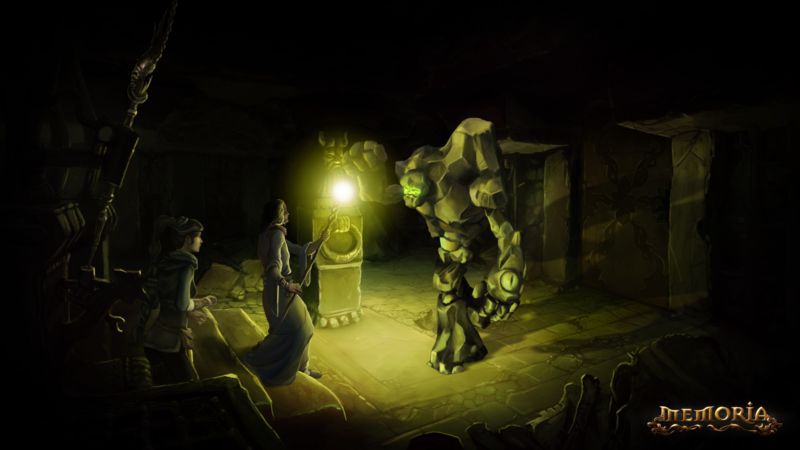 Memoria follows the standard adventure game formula fairly closely. You are presented with a task or puzzle, as well as an environment and some tools. Your job is to search your surroundings for elements and items which, when combined properly, will overcome the current challenge. 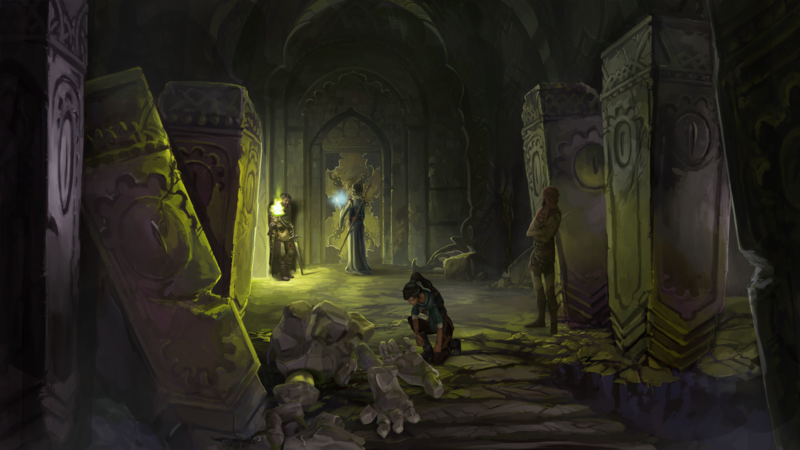 In addition to finding, storing, and combining items, Memoria adds a spell casting mechanic. These spells are usually very basic, a toggle effect that allows you to break or repair simple items, or perhaps the ability to activate or deactivate mystical items. Not only does this add a bit of depth to the gameplay, but the way that these abilities are used can be very inventive. Disassembling something doesn’t necessarily solve your problem because you needed something to be in pieces. Sometimes the side effects of breaking something are the key to success. This is seldom a good sign. Puzzles are fun and challenging, usually coming in enclosed segments that are self-contained, seldom requiring you to use that long-forgotten piece of knowledge or equipment from nine gameplay hours ago to solve the problem. The laziest parts of me have bemoaned the absence of a decent hint system in some games, which I’ll admit is a matter of taste, but I feel Memoria has struck a good balance. The writers of the game’s dialog have included subtle but effective clues in the descriptions of certain actions and items. They were just right to lead me toward the correct answer without bluntly revealing the answer to me. In addition, the game includes the standard “reveal interactive elements” button to keep you from pixel hunting. This is easily my favorite innovation to adventure games in the last few years. The preview build we got our hands on has not been fully localized, so the dialog is in German. This has revealed to me something I didn’t know about myself, which is that I have an extremely difficult time reading a subtitle while someone is speaking German. It is a distracting language for me. Go figure. That aside, the voices seem appropriate to the roles, and the music is atmospheric and fantasy-appropriate, so good stuff. There is a very deep story going on in Memoria, and it is revealed in casual references to events that took place prior to the beginning of the game. I don’t want to give much away, but suffice to say that the setting is medieval fantasy, and is rich with both magic and legend. You spend time helping the main character, a bird catcher turned mage, to seek a cure for a mystical ailment for his friend. A mysterious nomad may know the proper spell, but he will not tell you until you solve a riddle. 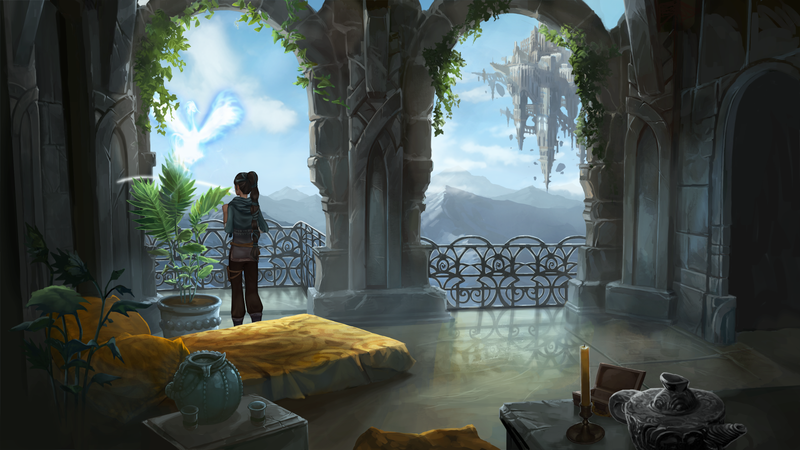 In explaining the riddle, he tells you of a princess from long ago and her quest for a powerful artifact. At ever turn there is the sense that volumes of history have been written to support this world, and seeking the answers will probably drive you forward as readily as the gameplay will. Look. Not everything is grim and decayed. Memoria tells the story of the young and no less fierce princess Sadja from Fasar, a faraway kingdom. In a past time, during a dark age of Aventuria’s history, she set forth to fight in the great battle of the Gorian Desert. A battle against mighty demons, meant to make her one of the greatest heroes of all time… but she vanished, her fate lost in the sands of time. 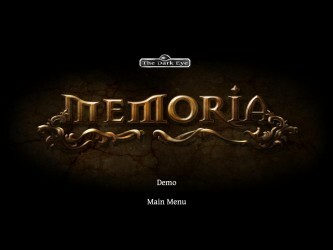 Memoria, the new adventure by Daedalic Entertainment once again takes the players to the fantastic world of The Dark Eye. Memoria, from what I’ve seen so far, is a traditional adventure game with serious artistic clout and just enough modern conveniences to make it palatable to a modern gamer.